The new Opera browser for Android now available on Google Play store, brings Off-Road mode, Discover and loads of other features along with a brand new look. 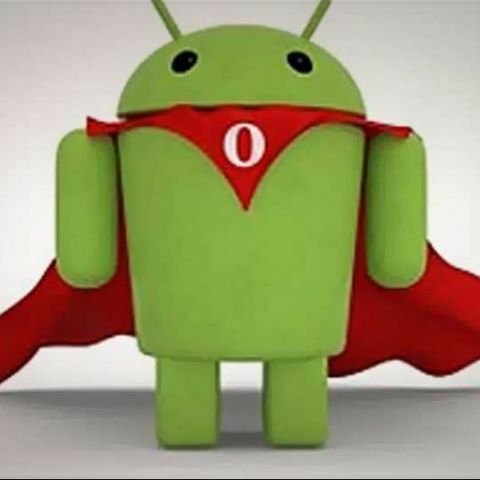 Opera Software has announced their new web browser for Android. The beta version has been available since April, and today, the company unveiled the full release, available on the Google Play store. The Opera for Android has apparently been tweaked to allow easier and more hassle-free navigation than ever. According to the team, the software is a work of passion and dedication which involved 17 years of know-how and innovation. Opera says it has revamped the entire browser to make sure that users make the most of the time spent on the web. The full release launched today is meant to be the first of the next-gen Opera browsers for smartphones, giving developers and users a taste of what's to come. Google to launch Android 5.0 Jelly Bean with multiple lead devices? The new look Opera browser will feature a completely different user interface from previous iterations, and is apparently tailor made for the Android platform. It has a new 'Discover feature' that allows users to navigate the web and discover content on the web in an entirely different way. There is a Discover panel in the start up screen, where users can read a selection of articles and delve deeper into their areas of interests. There are sections such as sports, technology, news or lifestyle. The search will based on relevant global and regional sources which will automatically filtered by Opera. The revamped web browser will include a Speed Dial. Users will have access to links that will be readily available on Speed Dial along with a bookmark folder. The bookmarks will be merged together along with Speed Dial entries to provide a better experience. It facilitates easier grouping, organising, and renaming Speed Dial entries or synchronising them in folders- all within the touch of your finger. The new browser comes with an Off-Road mode for faster browsing when things get rough. Users now have an option to switch to Off-Road mode and carry on surfing. Opera has also merged the search and URL field for a neat UI and a more spontaneous input. The tabbed browsing makes it easier to browse than ever before. It offers private browsing at the same time, just like the Opera desktop browser. There's easy access to the history mode. Users just need to swipe their finger to the right and get access to the content on left of your home screen and return to the page they saw earlier during the day. It also has an option of save for later which allows users to download a complete web page and read it later while offline. "There are countless hours that have gone into making this completely new, completely re-thought Opera for Android," says Opera Software EVP of product development Rikard Gillemyr. "I dare say that many smartphone users spend much more time using their web browser than any other app on their phones. That's why we have made our newest mobile phone browser more elegant and more beautiful than ever, while still packing so much functionality into it. Go ahead — take the Opera out for a spin on your Android phone and see for yourself." is Linux completely Virus Free? which is the best browser for the internet browsing?